Highly-touted Brummie rockers BLACK BOMBERS prepare for their first London gig this week with news of a deluxe vinyl version of their debut album. 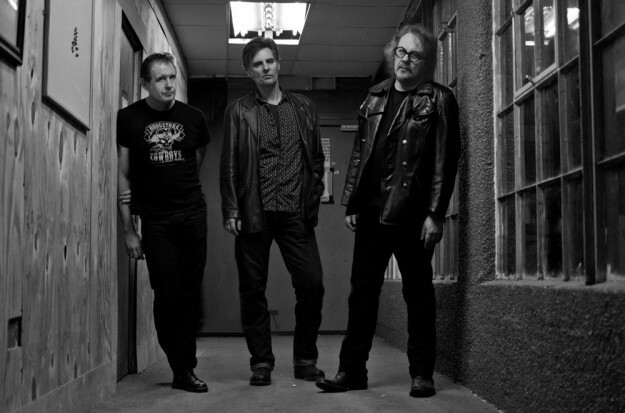 The trio, whose CV references such punk luminaries as THE DAMNED, THE HEARTBREAKERS and THE PREFECTS, as well as 90s sleaze legends GUNFIRE DANCE, take the stage at Nambucca, 596 Holloway Road at 8.30pm this Friday 27 May. The special Some Weird Sin club night also features sets from THE NOVEMBER 5 and Southenders EIGHT ROUNDS RAPID, who feature WILKO JOHNSON’s son Simon in their line-up. Tickets are available here. The band are issuing a deluxe vinyl version of their debut album in 12″ grey/black splatter vinyl with fliptop sleeve and various exciting inserts. An extremely limited edition of 250 copies, it’s available to pre-order now through Easy Action Records here. It’s also available on CD and download. Check out the video for ‘Break It Down’. Read an interview with Black Bombers in the latest edition of Vive Le Rock! ‹ THE DERELLAS – FREAKSHOW A GO GO!